Hey everyone! Today I have a few new products to show you from Born Pretty Store and Models Own. I decided to do a simple swatch and a bit of nail art (because we all know that's what you're here for really). So here we go! 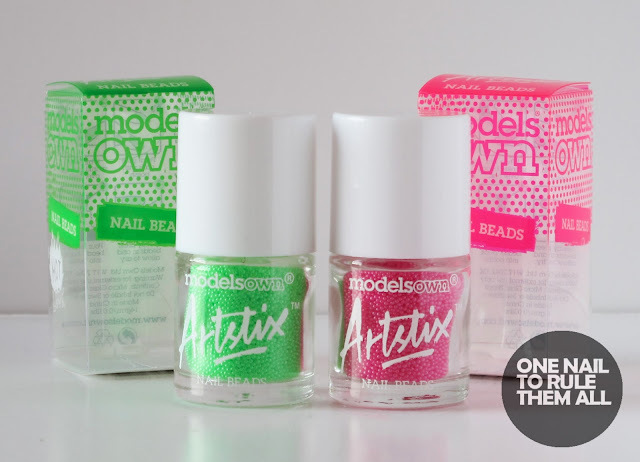 I loved how these polishes looked together but I really wanted to add my new Models Own Artstix Nail Beads* to the design. I have the beads in Neon Pink and Neon Green, and, as you can see from my camera's inability to photograph them, they are incredibly neon, and I absolutely love them. These are also nothing like any other caviar beads I've tried, they're not painted over a silver base, so when you apply a top coat to them the colour doesn't run, which is brill! You can find these beads here on the Models Own website or in your nearest Boots store for £4 each, these are definitely worth the price and I would 100% recommend them. I also used Butter London's matte top coat, which I shall be reviewing soon, but can be found here if you're interested. What do you think? Will you be buying either the polishes or the beads? Let me know in the comments! Wonderful!! Loved it a lot. I love the color combo. This is a really pretty happy mani. I love this manicure! Adorable beads. I love the colours you used for this! 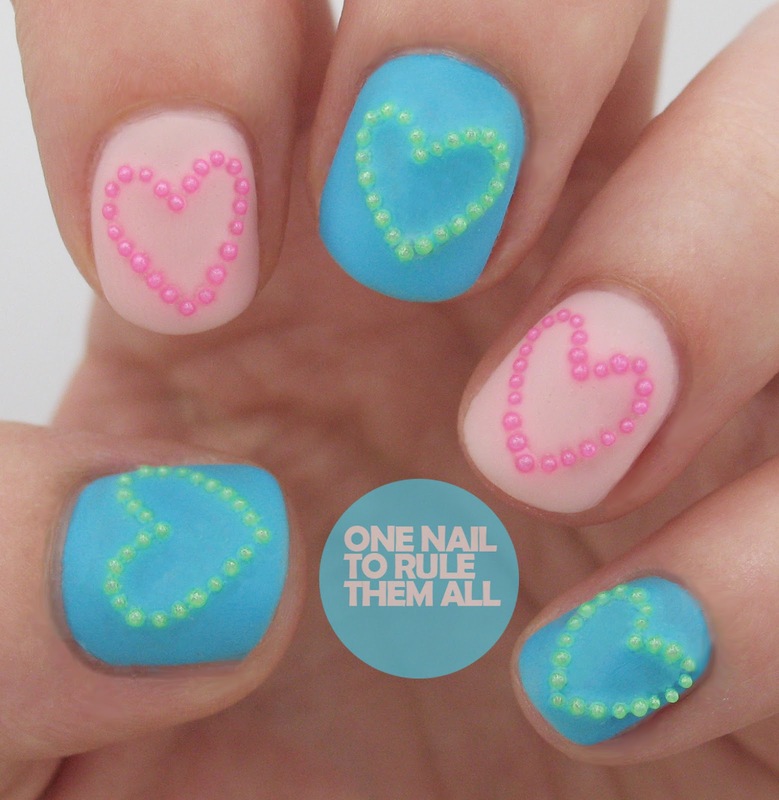 I'm not very adventurous with colour so I don't think I would have tried using those beads with this mani. It's super cute though! Think I'll have to invest in some of these - I can't stand the colour running off of every other bead I've tried. 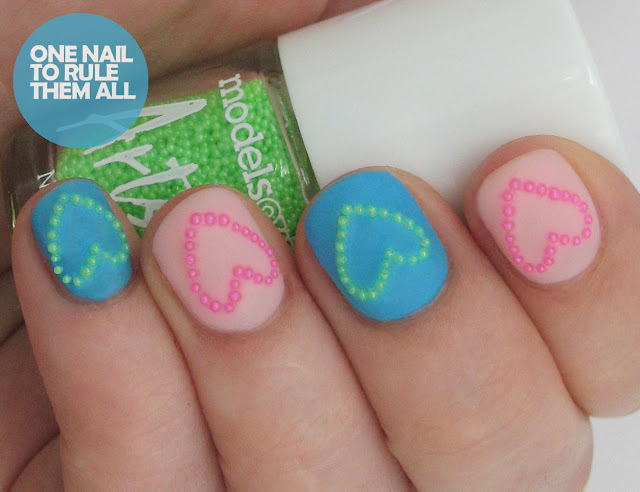 Love the beaded hearts sooooo much! those neon beads are so cool! love this! you are always so clever! I love the colour of the polish, so pretty. Nice to hear that the beads aren't just coated, so many of them run or drag. This is so simple and cute! I'm a total sucker for colourful nails. I always paint them all a different colour n then I don't know what the heck I should add to them. 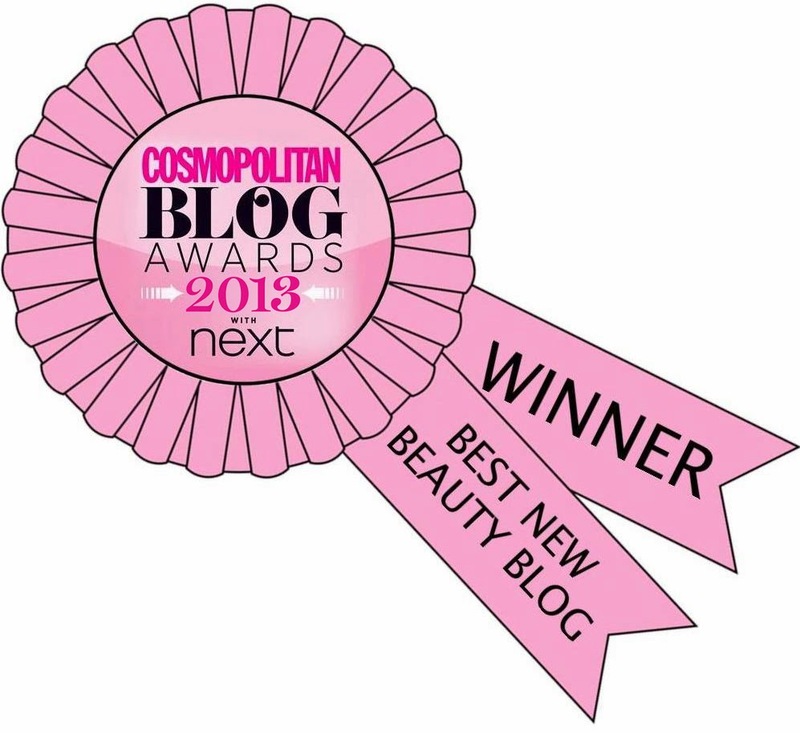 Your blog has tonnes of ideas! I love your nails btw, they are so big O_o If only my teeny tiny nails could fit more of the intricate designs u have on here. And... could you like post a tutorial or smtg to show how exactly it is that u bend ur fingers? I can never get my fingers to fit into a square photo neatly the way u do. LoL. hello. hello. Chillas Here come new steve jobs movie in 2015. Steve Jobs Movie Release date is fixed in october. New Steve Jobs Movie is going to be launched soon and credit goes to steve jobs. Steve Jobs Trailer is out and can be seen online. Hello Fellas whatsup.. whats going on..